What are the benefits to planning ahead with irrevocable trusts for Veterans Benefits eligibility? Many of the same benefits as in Medicaid planning. However, the most prominent benefit to using an irrevocable trust to hold assets to achieve Veterans Benefits eligibility is control. For VA Aid & Attendance benefits, current VA rules do not impose a waiting period before you can access the benefit because you have transferred assets out of your ownership. This means you can transfer ownership of your assets to any one or any other entity, like an irrevocable trust, without imposition of a waiting period. Even though you can obtain VA A&A benefits by merely giving away your assets to your children, why would you? By placing your assets in an irrevocable trust, you are not making an outright gift to your children. This means you are avoiding most of the problems with outright gifts. Your children don’t have to think about the temptations of spending those assets, even though they are supposed to hold the assets in case you need them in the future. And your assets, owned by the irrevocable trust, are not subject to the child’s creditor’s claims or divorce. Asset Protection Planning, whether in the context of VA A&A benefits or Medicaid long term care, it is critically important before moving forward with particular strategies that you have been educated as to all the legal planning options you have and how the course you follow impacts other benefits programs. Only attorneys can discuss the law with you. And, only attorneys can prepare legal documents for you. 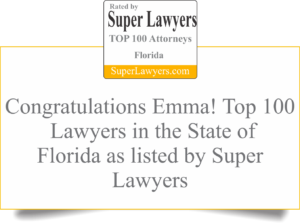 The Law Office of Emma Hemness is here to help you by educating you about your choices for a comprehensive, customized pre-planned approach to you long term care asset protection.